NEW SESSION MONDAY! WINNERS!! HOW TO MAINTAIN!! SET THOSE ALARMS!! Congratulations….YOU GUYS ROCKED THE WEIGHTLOSS CHALLENGE!! Dan was the First Place Winner! Way to go Dan…$100 off this session! Donna with the sneak attack for Second Place….$25 off this session! Lisa came in third….$15 off this session! Everyone lost weight! We did great! I love numbers and percentages, but to put a funnier twist on it, we lost TWO EMMA’s….AND we didn’t have that much to lose to begin with!! 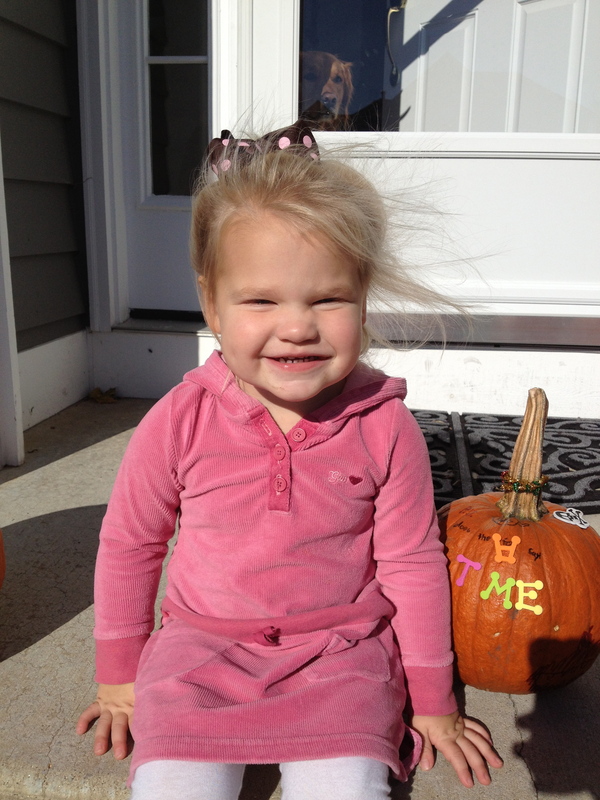 WHAT’s an EMMA you ask….this little chunk!!! 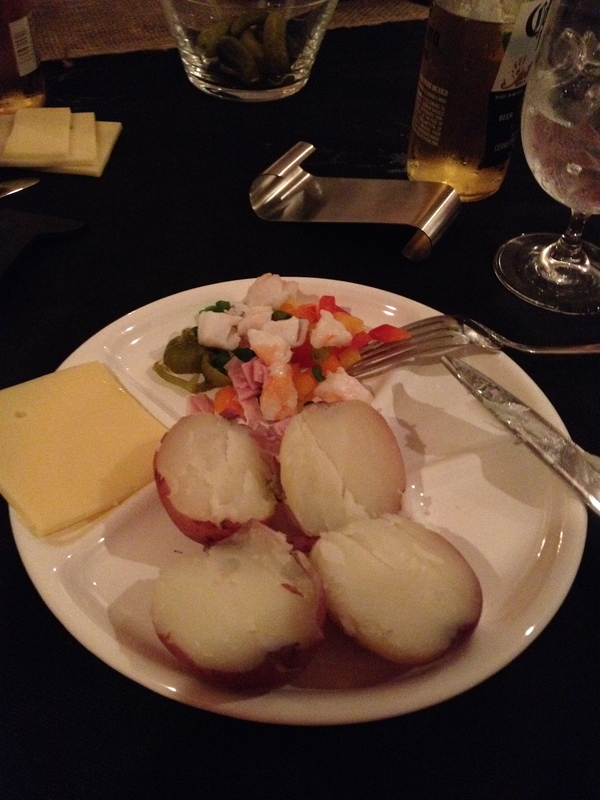 Last night we attended one of our first annual holiday parties….I ate lots of potatoes and cheese. 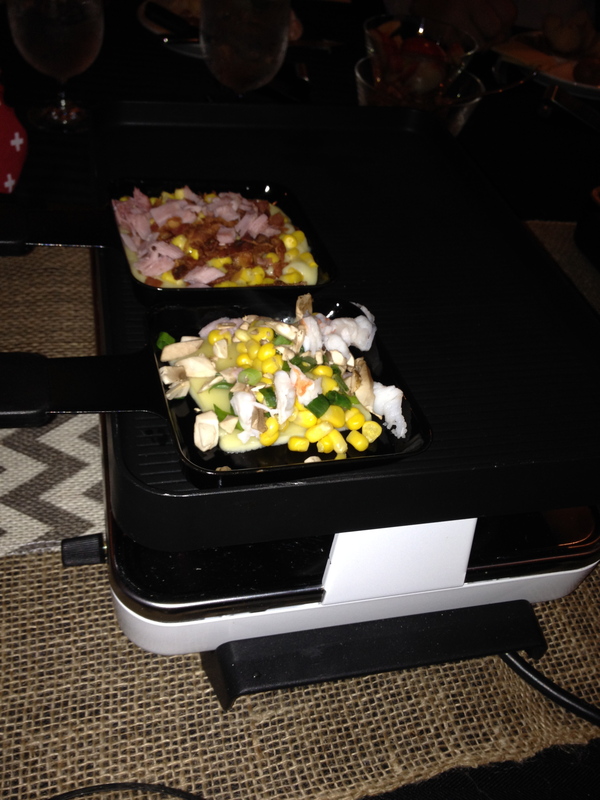 Friends of ours have a Raclette Party every year. My girlfriend is from Switzerland and Raclette is a Swiss tradition (I googled it to get my facts straight). I have taken some pictures because it is kind of hard to explain. Groups of us sit at large tables with warming ovens that we share (kind of like a fondue pot) and heat our raclette cheese with various toppings like corn, tomatoes, bacon, ham, peppers, shrimp, etc. After the cheese is warm you scrape it onto a small red potato. It sounds so weird when I try to write about it, but it is an evening I (we) look forward to every year! Monday is the start of a new session! This session will take us to December 21st. The 5:15 am class will be offered on Monday, Wednesday, and Friday. There will be a 7:30 am Saturday class and a THURSDAY NIGHT 7:00 pm class at Holy Cross Church Basement. Because I have decided to take a little break from my 4:15 pm class (for the sanity of myself and my family) I am VERY HOPEFUL that some of those clients will start coming to my 5:15 am class…..PLEASE welcome them with open arms….THEY ARE AWESOME! There will be no class on Friday, November 29th, the day after Thanksgiving….a girl has got to SHOP!!! After December 21st, those two weeks of the holidays we will have some drop in classes. I will let you know the dates and prices of those classes over break and then the next session will start JANUARY 6th…..another weightloss challenge is in the works to start 2014 with a BANG!! PRICING FOR NOVEMBER 11th-DECEMBER 21st….WHAT ARE YOU WORTH??? NEW CLIENT PRICING—-TAKE 20% all fees above! You are a new client if you haven’t been with me for 6 months or more!! So….How are we going to maintain our weight that we just lost? Well….how about a little monetary motivation from me? I got an email blast from AM Fitness about there “no gain/maintain” challenge and I thought it was a fantastic idea. However, they are a “big” business and I am just a little “mom and pop” shop so the offer and incentive will be slightly different. A lot of you have weighed in recently SOOOOOO….IF you can stay within THREE pounds of that number you will get 10% off whatever package you choose for the next session in January. There is no “buy in” fee!! This is just a little motivation to watch what you eat as the snacks and treats start to stack up during the next 6 weeks. Last, but not least….what am I thankful for and what am I praying for this week! First, in such a social media world, I think I might be a compelte moron sometimes. I did not hear about what happened in the Phillipines until I was in church today. I pray for those that have lost loved ones and their homes and hope that others may be reunited with their families as soon as possible. I am so THANKFUL that I have a home where I feel safe and live in a community like Cary that supports so many families that may need an extra hand during a difficult time. ← Haven’t been in 6 months…see the offer! Month of Thanks!